New York (TADIAS) — On June 8th, 2016 the White House Office of Public Engagement convened its first Ethiopian American Policy Briefing where leaders representing a diverse sector of the community — including non-profits, small business ventures, young professionals organizations, faith-based groups and academia members — attended and participated in the historical gathering. Tadias Magazine was honored to attend the briefing. Hosted by senior administration officials Daniel Yohannes, U.S. Ambassador and Permanent Representative to the OECD, and Yohannes Abraham, Chief of Staff of the White House of Public Engagement and Intergovernmental Affairs, the briefing was organized by Henock Dory of the White House Office of Public Engagement with panels moderated by Dr. Menna Demissie, Vice President of Policy Analysis and Research at the Congressional Black Caucus Foundation. The briefing focused primarily on the Obama Administration’s domestic policy priorities through panel discussions presented by Administration experts featuring White House initiatives in education, healthcare, criminal justice reform, small business policy and civic engagement. 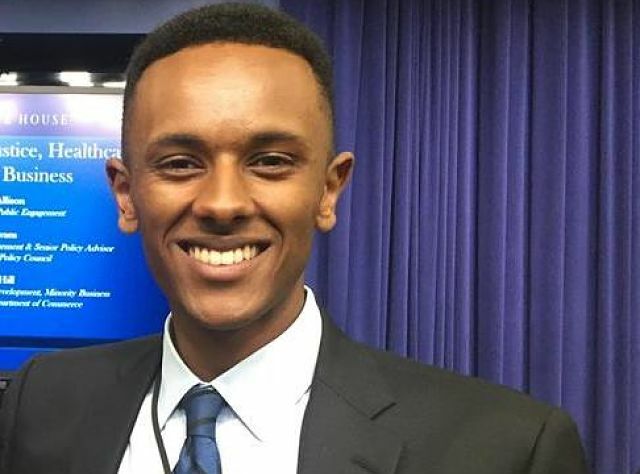 The purpose of the event was to brief leaders from the growing Ethiopian American community – students, faith leaders, young professionals, and business leaders – on Administration priorities, while also offering a forum for White House officials to hear directly from the community on issues facing Ethiopian Americans in United States. 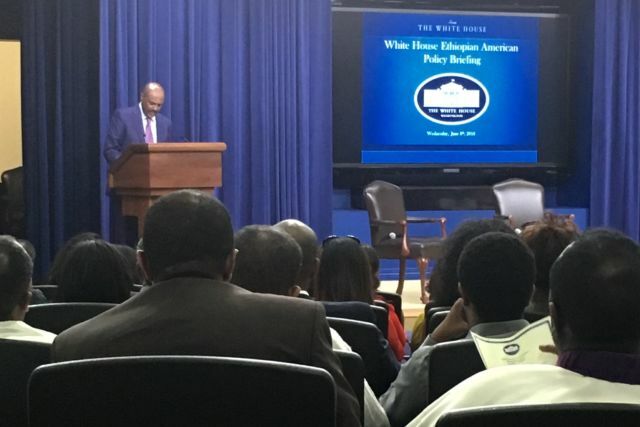 Ambassador Daniel Yohannes, Permanent Representative to the Organization for Economic Co-operation and Development (OECD) and former CEO of the Millennium Challenge Corporation gave the opening remarks encouraging greater civic engagement among the Ethiopian American community. The White House Office of Public Engagement shared helpful resources for further engagement opportunities during the briefing including information on the Reach Higher Initiative, My Brother’s Keeper, Health Reform, Criminal Justice Reform, and the Minority Business Development Agency. 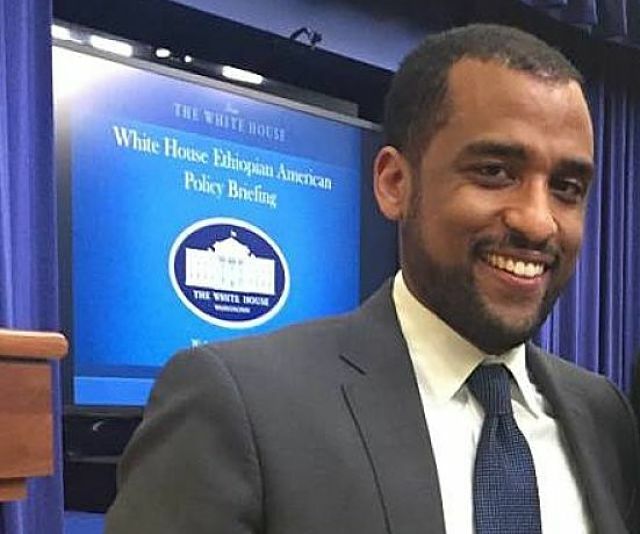 Chief of Staff for the Office of Public Engagement and Intergovernmental Affairs, Yohannes Abraham, gave the closing remarks and encouraged the continuation of this dialogue in the wider Ethiopian American community. Connect with Tadias via email and social media!